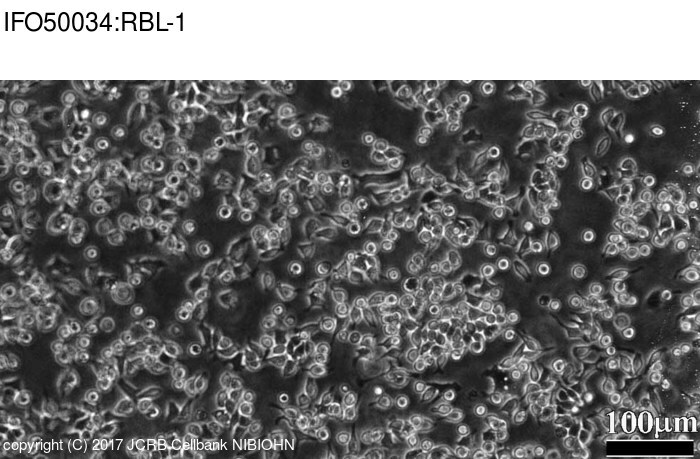 Use of simplified substrates for the study of 5-lipoxygenase from RBL-1 cells. RBL-1 consisted of suspending cells and adherent cells. Both types of cells should be passaged. Adherent cells were detathed with 0.25% trypsin and 0.02% EDTA - PBS.